Item is a small twin lens reflex camera for 4 x 4 cm exposures on 127 format film. This created the "super slide" which had the same casing dimensions as a standard 35mm slide, but with a larger image area. The camera has a crank film advance, with no double exposure inhibitor. 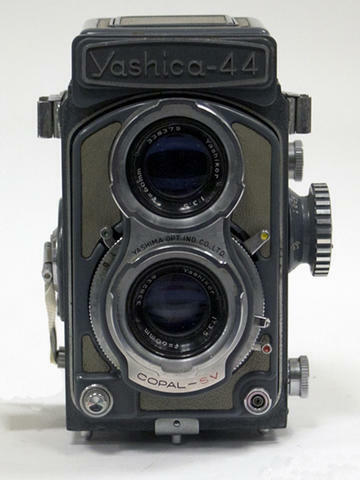 Lens is a 3 element Yashikor f 3.5 60mm lens with a Copal SV shutter with speeds from 1 to 1/500 of a second.